It was yet again a beautiful W-End around South Orange County. The Stand down @ Dana Point was ever so beautiful as the waves broke in and the birds were flying around without a care in the World. The fact that we had a beach to enjoy was also just as beautiful as ever. The homes overlooking the beach are an Architectural marvel onto themselves. Many may well be jeaulous about how close they are as they are able to embrace the beauty and majesty that is the Pacific Ocean. What was ever so joyful was to see Families and Children able to enjoy a beautiful Sunny Day out there in the Strand. It was also a disturbing week in South County as the fire at Silverado Canyon was fought by the valiant Firefighters Of the Orange County Fire Authority. 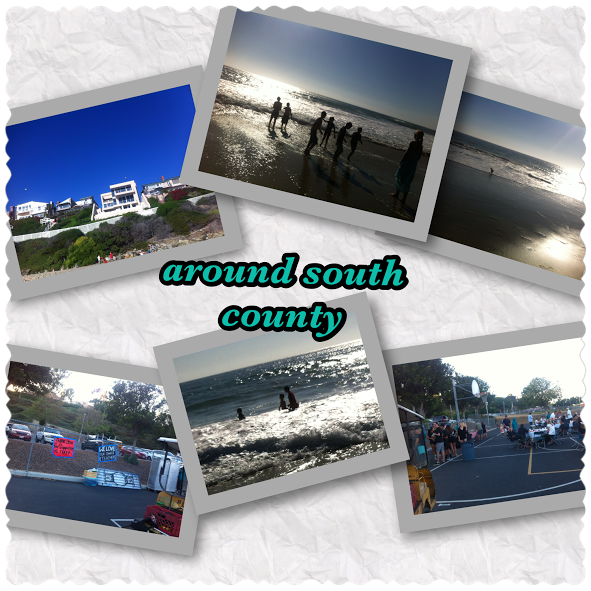 But the beauty of South Orange County is not just limited to the beauty of the homes and the ocean scenery. It is the people that ultimately make it work. It was ever so epitomized as the community came together at Aliso Niguel High School to celebrate the Staff who do so much for the Students and as Parent volunteers were hustling to get the Football Game Going--all who helped staff the ticket counters, the barbeque and the spiritwear stands . It was the Community at its' very best.